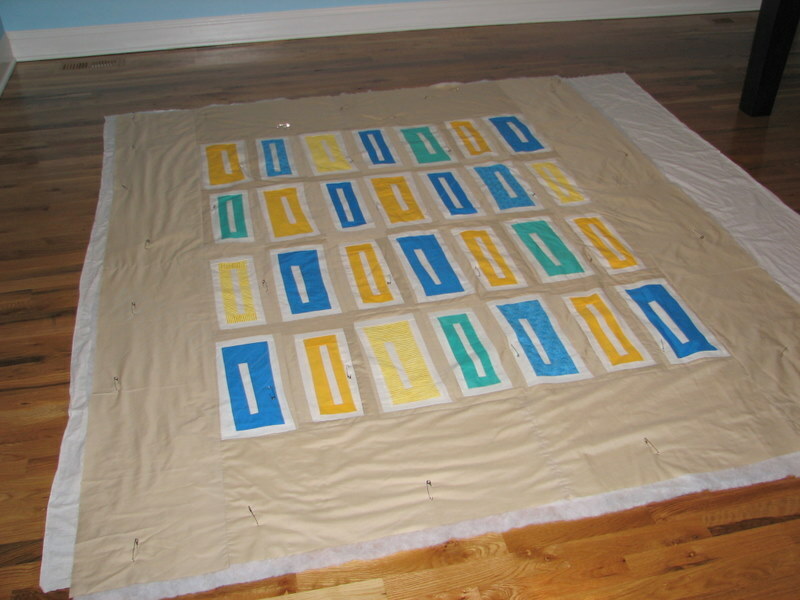 Other posts on this project: Crete Quilt, Crete Quilt 2, Crete Quilt 3, Crete Quilt 4, Crete Quilt 5, Crete Quilt 6, Crete Quilt 7, Crete Quilt Pt. 8. 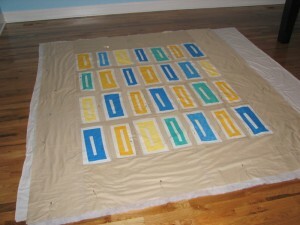 I’ve been working on the Crete Quilt for so long now that I’ve got crafter’s block again for anything else. I finished the quilt top and basted that, the batting, and the back together. It really is more of a full than a queen, but oh well. The book uses a great cross-hatch pattern that I’m finding impossible to measure out myself, so I think I am going to send this off to be quilted. My mom told me she has a rule that she only quilts small things herself. Everything big she sends out. This sounds like a good plan to me. That means I’ve taken it as far as I can for the time being, freeing me up for the next project. And I’ve got no idea what that will be. I’ve got a million ideas, none of which seem focused enough or quite right. I’ll have to think about this some more.